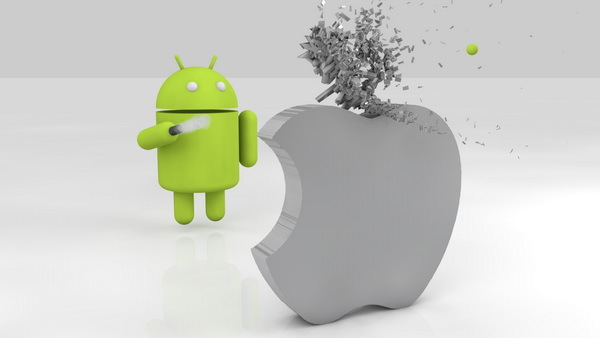 iPhone 6 is still lagging technologically: Apple is still playing catch up with Android smartphone manufacturers. Tim Cook wants to wow Apple fans with larger iPhone models. In general, there’s nothing special with iPhone 6′s display. The iPhone 6 has 4.7-inch display and some affordable Android models have the same display size with IPS panel and 720p resolution. This offers display with nearly similar quality compared to the iPhone 6. Premium Android smartphones now have display with Quad HD resolution with far higher pixel density than what the iPhone 6 is offering. Lower camera resolution: The iPhone 6 comes with 8Mp camera, the same resolution now available among low-cost Android models. As comparison, the Samsung Galaxy S5 has 16Mp rear-facing camera, LG G3 with 13Mp camera and Sony Xperia Z3 with 20.7 Exmor RS camera. The iPhone 6 comes with two new photography-focused features; optical image stabilization and phase detect AF. Both have been available in numerous high-end Android models for about a year. Questionable battery life: Although the A8 processor is about 25 percent faster than the older processor, Apple claims that the battery on the iPhone 6 will still be similar. However, it is reported that people could drain the battery of iPhone 6 in just a couple of hours by texting on the go, browsing the web, enabling the GPS-based services, playing a few games and doing other things. As comparison, some Android models have immense battery capacity and they can last for nearly a day or more with heavy usages. It is also possible to use compact, portable powerbanks to extend the battery life of Android devices simply by connecting to the microUSB port. Apple‘s ridiculous pricing: The 16GB model of iPhone 6 is comparable to Android smartphones with 32GB internal storage, often extendable with removable microSD memory cards. Also, more than half of the storage space in the 16GB model is occupied by the operating system and Apple‘s bloatware. The 64GB and 128GB models could be excessively expensive for people who use their phones only for texting, voice calling, multimedia playing and casual gaming.